You can create a website, blog, or even apps. There are thousands of designs on WordPress to help you select your unique style. WordPress is optimized for SEO, easy to use, and offers great customer support. With more than 50,000 new sites every day, businesses, bloggers, and individuals are looking for an easy-to-use form building tool to add forms to their site. JotForm is a tech company that specializes in online form building. Forms can range from email subscription sign ups to payment forms to customer or product reviews to surveys. JotForm has been a popular tool for WordPress users. JotForm’s drag-and-drop tool is easy to use and covers any form functionality. JotForm has a do-it-yourself form builder, or you can choose to use one of its 8,000 templates, which two million users have created six million forms. With over a hundred integrations including SalesForce, PayPal, Google Spreadsheets, and close to 400 specialized widgets, templates, and themes, it’s endless what you can do by using JotForm for your WordPress site. Go to JotForm. And click on Sign Up or Create an Account – It’s Free! After creating your account, you can begin creating forms. On your homepage, click on Create Form. Blank Form: Create a form completely customized by you. Use Template: Use a form that has already been created, but can be customized however you’d like to. Import Form: Import a form you’ve already built and customized. Have fun creating your form with the tools. Now it’s time to publish your form. Click on Publish. 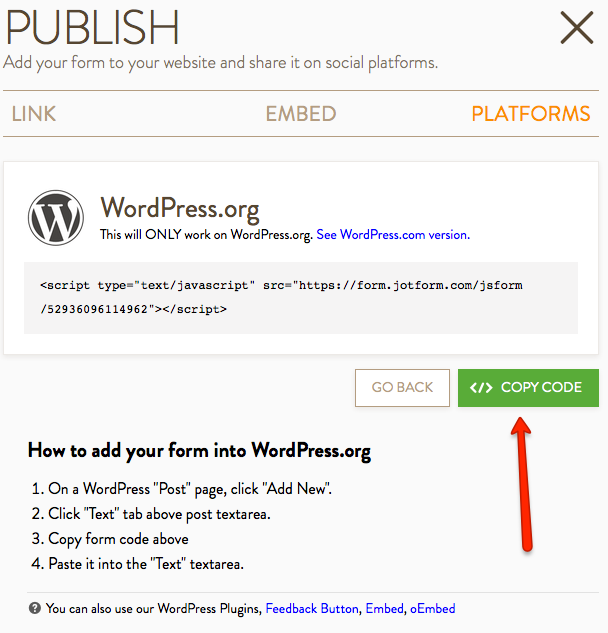 Copy the code and inset onto WordPress, or if it’s easier, use one of JotForm’s plugins to embed the form. Take a look at your final product on your site! 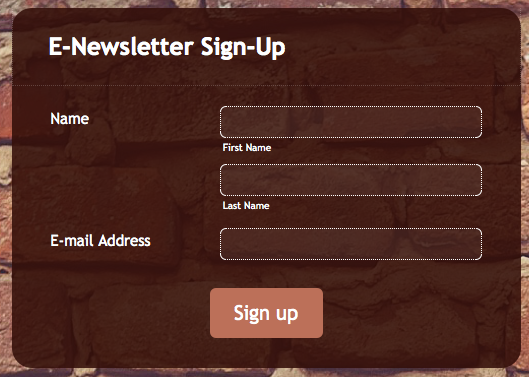 Adding forms to your WordPress site will help drive your traffic. Good luck with building your online form and your WordPress site. Guest Post By: Haroon Ahmad is the Director of Public Relations at JotForm — a tech company that specializes in online form building.